Previously, artificial intelligence (AI) was only limited to technology and huge corporations, but now it has proven to be a valuable asset in health, medicine, finance, eCommerce, and a variety of other industries. Also, AI can now be accessed even by small businesses and individuals. 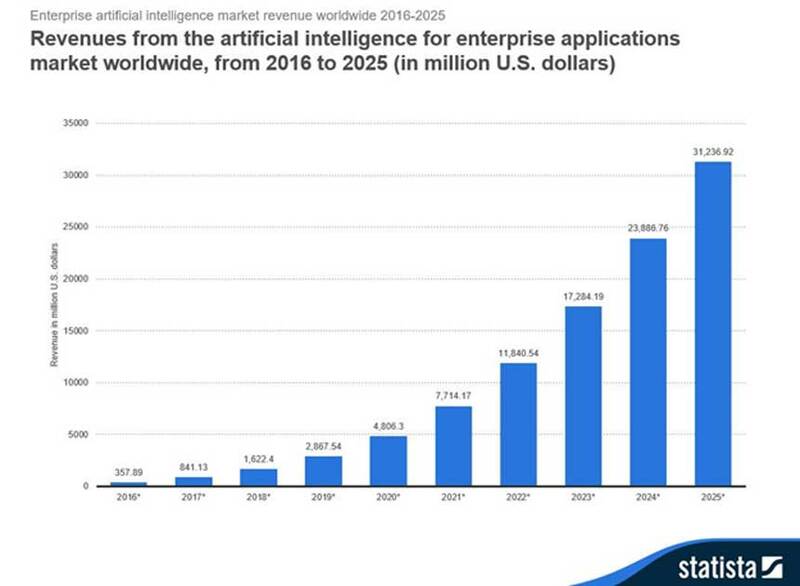 There has been a continual rise in the revenue generated by AI (as seen in the figure above), but sources reveal that this exponential growth may go nowhere in the near future. The impact of AI is set to increase in the real estate industry, and it is about to face severe disruption. The current market size of the real estate industry is over $480 billion, and its size will only become bigger in the time to come. However, the nature of the sector is set to disrupt with a considerable sum of investment pouring into AI-powered real estate and several new inventions that are releasing in the market. Individuals who have taken up the RPA certification training course could play a crucial role in the real estate industry. RPA, a.k.a. Robotic Process Automation is an emerging field that focuses on the use of software robots and AI workers to manage business processes. Themove.com created history with the introduction of a robot, powered by AI, that can act as a non-human real estate agent. It was named Amy. Following its introduction, there seems to be some difficulty in distinguishing between a human being and a robot! Now, Amy is a smart, reliable, and friendly agent, which has all the qualities of a "person." In fact, the robot has been observed to do a better job than the real agents at themove.com. This is probably just the trailer of what is yet to come from Real World Tech Ltd (parent company of themove.com). According to Sam Singh, the founder of the company, Amy is an example that could show the real potential of AI in the real estate industry. He sees the human characteristics in Amy that makes customers feel good during interactions with the robot. Singh further feels that Amy could become more familiar with property searchers in the future. As of now, the robot is already bringing positive results. Amy has a memory that never fails, a top-notch AI algorithm, and superior callbacks. Unlike other agents, Amy holds a tremendous competitive advantage - she can directly enter the database and analyze the search algorithms of themove.com. 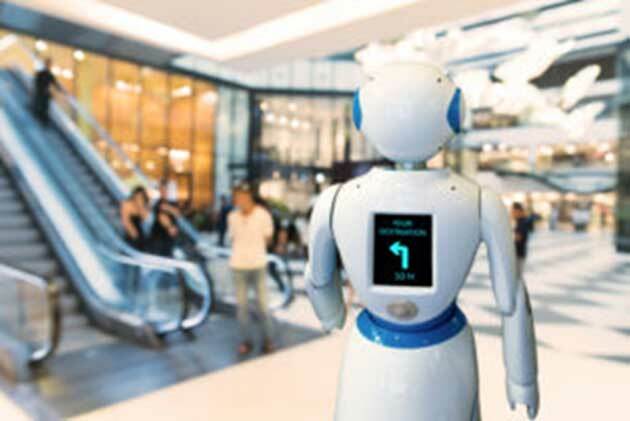 The robot can quickly connect with customers whenever they have any queries and then help them find relevant local agents as soon as possible. After the entrance of Amy, many companies are now starting to utilize robots to give a pleasant experience to their customers. It is safe to say that the world will encounter smarter AI-powered robots in the real estate sector too. In the years to come, human beings may prefer to do business with bots rather than real people. Only the time will tell what the future holds. There is no longer a need for real estate agents to manually evaluate the value of each property. ATTOM’s Data AVM is making things better for agents and customers. ATTOM makes use of regression analysis to identify similar properties that were sold recently to estimate the market value of the property accurately. ATTOM’s AVM allows the users to integrate AVM with various other data deliverables, such as marketing lists, custom APIs, match & append, etc. It further brought in multiple valuable models for its calculation, along with applying a cascading model selection algorithm for a precise estimation. This concept has a record of nearly 80 million homes, representing almost 99% of the total population of the United States. Many real estate brokers and agents set drip marketing campaigns, and it is carried out via emails. These are in the form of newsletters and property alerts. However, the technology, Address Report, is about to change the game of marketing in real estate. ATTOM Data has recently acquired this technology, and it is about to further improve in the future. Unlike traditional drip marketing campaigns, Address Report distributes dynamic content to the subscribers. It takes their area of interest into account before sending out the material. The irritation of subscribers will drastically decrease with this technology, as the users will only get notifications once the data point changes. It helps in maintaining the interest of the users. Also, the engagement rate goes up with Address Report because the users will only get emails, according to the location of the property that they want to purchase. Portals like Zillow and Yawn have been around for a while. They are offering an excellent solution to property buyers. However, the entrance of AI is set to change the nature of portals. Real estate portals are now about to encourage their users to make a sound decision on where they want to reside. The portal, Realstir, is starting to use AI technology to give multidimensional comparison options to its users, similar to how users compare their flights on Kayak. The comparison tool that it offers is sophisticated yet user-friendly, and saves a lot of time and money. The recent report, released by Zion Market Research, revealed that the increase in the demand for smart buildings would increase at a whopping CAGR of more than 34%. House buyers are expected to look for better AI-solutions for their buildings. The primary reason for the sharp rise in the demand for smart buildings is because of energy consumption concerns. Machine learning-based solutions will increase in controlling various aspects of the house, such as lighting, elevator maintenance, energy management, and more, for the reduction of operational cost and the increment of workplace productivity. Shortly, the usage of AI for security will increase with more people starting to realize the importance of biometric identification and facial recognition. Advanced AI systems will, very well, enable enhanced operational efficiencies and superior employee productivity. With companies like Skyline and others investing heavily in AI-powered real estate tools, real estate agents will rely more on artificial intelligence to make sound investment decisions. It shows the indication of the disruption of the real estate industry as a whole. Recently, there have been over 5-9 startups that have been getting a lot of attraction of investors besides Skyline. Some of them are Proportunity, REX, Blox, and First.io. All of them have managed to get millions of dollars to conduct their research and development tasks in AI. There have been plenty of industries that have been impacted by the entrance of AI. 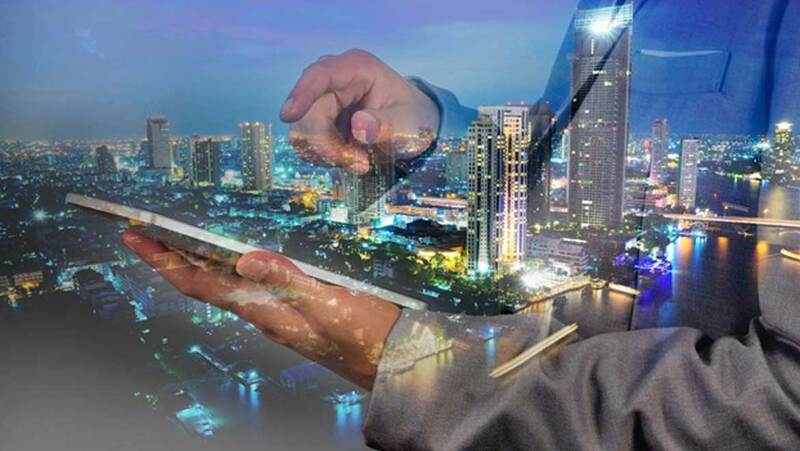 Shortly, the real estate industry could face major disruption with more and more funds pouring into AI-powered technologies to change the structure of the real estate market.